Out of nowhere - the new free communications template right here, right for you. Name of the web design template is 'Globe Company'. Anyone who's about to design a site for wireless ISP - those people will quickly realize our free communications templates to be the best choice for their needs. All and every templates within our selection will need to pass the product quality control to ensure that it's got good HTML/CSS and doesn't appear as if it's a web site design ghost right out of the 90's. Exactly what good is a free isp template? Certainly, virtually all of our free website templates are quite comparable to the premium templates in the terms of quality. Except if you are a multimillion online company which I believe certainly requires some custom web design you can safely go with free web template. A place for bit of rationalization. Not all of the free templates have been created equal. In fact, there are some that happen to be of poor quality or some that came to us from nasty nineties. However what you see on our web site is a collection (see, we selected them, not just grabbed anything we could reach for) of professional high quality pre-made designs, i.e. 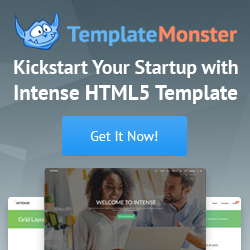 premium free web templates. Frankly, some of them are better yet than premium paid-for templates. No need to be a genius to understand that the quality of the template mostly depends on the degree of the web designer's expertise. There are newbees, students, self-proclaimed gurus (hehe, often times - merely some schoolboy with lots of imagination and lack of experience) and there are those people who are seasoned experts of website design and web development. And those legitimate gurus don't spend all their precious time earning loads of money as you may have thought - sometimes they create one or two free web templates just from the love of the art :). Why do webmasters use website templates? Just for the same reason that people wear pre-made clothes. Fundamental reasons for folks choosing the product is "it solves the problem, it satisfies the need, it's cheaper, it saves time and effort". Fundamentally, site templates are pre-made web designs which you can download and use right away. It actually is faster than hiring a web designer for custom design. You simply can't imagine just how much faster it is :) Now, the costs are drastically different - like that of Skoda and Ferrari. Custom web design is not always overpriced but nevertheless out of reach for a lot of small businesses We are here to make sure that you find the free communications template that will suit your online venture best of all. Only the best isp templates at Website Templates Online.com.